The Greenville Rocket Football program is a non-profit youth football organization based in Greenville, MI. We have programs for Flag Football, Tackle Football and Cheerleading. Our programs include participants from K-8th grade. We are a 100% volunteer organization and rely on our great community for support. We at GRFL are pleased to announce that we will be offering a Spring Flag Football League that will be played on Sunday afternoons on Legacy Field. We are offering this opportunity to players who are currently in the K-6th Grades. The cost of the league will be $45. As part of that cost, players will get a NFL themed reversible jersey that they will be able to keep when the season is complete. Depending on the amount of participants, we will be tentatively having two sessions per day. Session 1 will have practice from 1:30 to 2:00. The games will be played from 2:00-3:00. Session 2 will have practice from 3:30 to 4:00. The games will be played from 4:00-5:00. All the games for each session will be played on the field at the same time as the field will be divided into 4 sections. Click on the Registration open banner.  Follow the steps to sign up your player. If you are interested in Coaching you need to register at that time as well. Registration will run from Now through April 22nd. There will not be any in person sign ups. All registrations will on line only. Full Payment is required at registration. If you are interested, please go to www.greenvilleyouthfootball.com to register.